Find events in your community. Start saving today with coupons from local businesses. Silver Ridge Park West, located in Berkeley Township, is one of the finest 55 plus communities to spend your gold years, incorporated by Runyon Doss, Jr. in 1974 to meet the needs and desires of adults 55 years of age and older. We have a wide selection of clubs and planned recreational and social events to keep you as busy as you choose to be. In addition to regularly scheduled weekly and monthly activities, our Clubhouse also offers a library and large game room equipped with three regulation pool tables and two shuffleboard tables. Outside we have a picnic area featuring a gazebo, shuffleboard and bocce ball courts and horse shoes. Also available is bus service to local shopping malls. HolidayCity.org is the digital hub for adult community residents. 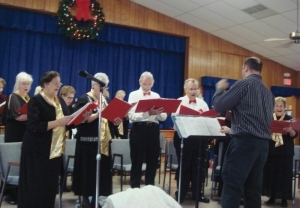 Stay connected with your fellow residents by tuning into HolidayCity.org for the latest news and events and other happenings in your community.